Yes. Regardless of fault, it is important to call your insurance company and report any accident that involved injuries or property damage. A common myth is that you do not need to contact your insurance company if you were not at fault. This is false, because there are several coverages on your insurance policy that you may want to use. In order to use any of these, you are required to notify your insurance company. The first coverage is our collision coverage. If the at-fault driver’s insurance company is slow to accept responsibility for the accident, then you may want to get your car repaired or replaced under the collision coverage of your own insurance policy. Then your insurance company will seek reimbursement from the at-fault party’s insurance. To use this coverage, you must promptly notify your insurance company of the accident. Otherwise, you might have to pay for repairs out of your own pocket, and then negotiate your property damage settlement with the at-fault driver’s liability carrier, which could take months. In addition, while you are waiting for the liability carrier to accept responsibility, you may have storage charges accruing while your car is sitting wherever it got towed. The second coverage you may want to use is towing insurance. Again, this will pay the cost of your vehicle being towed, and then your insurance company will seek to be paid back by the other person’s insurance. Otherwise, you may have to pay the towing charge while you wait for the other person’s insurance to accept responsibility. Under both collision coverage and towing insurance, if your company is able to recover the money they paid from the at-fault driver’s company, then neither of these claims will affect your insurance rates. Third, you may want to use any medical payments or medical expense coverage you may have on your policy. This coverage will pay any medical expenses you have as a result of the accident, regardless of who is at fault and regardless of any other insurance. Under Virginia law, if you make a claim for this coverage, the insurance company cannot raise your rates. Fourth, and perhaps most importantly, the other driver may claim that you are at fault and pursue a claim against you. Even if you know you are not at fault, you do not want to have to pay the cost of defending yourself. Under the terms of your insurance policy, your insurance company is required to provide a defense to you – free of charge – if a claim is brought against you. To have the benefit of any of these coverages on your policy, you are required to report the accident to your insurance company. You must do this within a reasonable amount of time. If you do not, your insurance company is permitted to deny coverage. Do not fall into the trap of believing that notification is not necessary because the at-fault party should pay your claim. There is a type of insurance coverage available to you through your own insurance carrier that does not require you to notify your insurance company of an accident within a reasonable amount of time. This type of insurance coverage is called Uninsured and Underinsured Motorist (“UM/UIM”) coverage. If the at-fault driver in your accident either does not have insurance or does not have enough insurance to cover your loss, then this type of coverage may provide a source of payment. However, although you should promptly notify your carrier of the accident, you should be careful what you say when you call. Tell them that you were involved in an accident and give them general background information, including the date, time, location of the accident, and names and addresses of all parties involved. But it is best not to discuss the issue of fault until you have consulted with an attorney. Politely decline to give a recorded statement until you feel better. In sum, it is important to report any accident to your insurance company promptly in order to avoid giving your insurance company a basis for denying coverage that may otherwise be available to you, but it is equally important not to discuss the issue of fault with anyone until after you have sought the advice of an attorney. 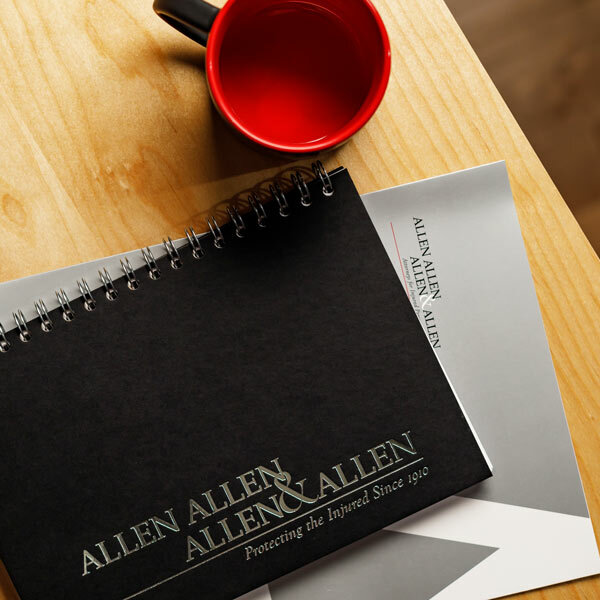 For a comprehensive guide on how to purchase insurance, and what to do if you’re involved in an accident, download our free All About Insurance eBook, featuring hand-selected expert articles written by Allen & Allen attorneys. Most car repair facilities charge daily storage if your car sits for more than a few days. Sometimes these storage charges can become greater than the value of the car! If your car sits too long, the storage facility can seek to auction off your car to pay for the storage charges.